New Forest Cottages, Lymington - Large Cottage in Lymington, New Forest. Big Cottage - 7 bedroom 1908 "Arts and Crafts" cottage sleeps up to 20 people. 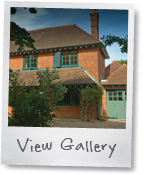 Group Accommodation in Large Self Catering Holiday Cottage in Lymington, New Forest. "We will definitely be booking with yourselves again and hopefully soon"
"Thank you for a lovely stay, we really enjoyed ourselves and the cottage was perfect." "We had a fantastic time at Wheathill thank you"
" I would most definitely stay in one of your cottages again"
"And by way of feedback - the cottage was great." "Thank you very much again everyone had a great weekend." "Just wanted to say thanks for a wonderful weekend - the cottage was perfect!" "Thank you very much for the excellent accommodation"
Wheathill is a beautiful comfortable large cottage sleeping up to 20 people. Its an original ‘Arts and Crafts’ double fronted detached New Forest Cottage, located on the outskirts of Lymington, a fine georgian quayside market town and major yachting centre in the New Forest. The cottage stands in its own gardens, both front and rear are enclosed by high hedges and tall mature trees. Wheathill is only five minutes walk from beautiful common land and ten minutes walk, in opposite directions, to the Musketeer and Wheel Inn pubs. Lymington Town centre is a mile away, within easy walking distance, and the beautiful open New Forest itself at Sway is under two miles away, with the beaches at Milford on Sea just a ten minute drive. Wheathill was built for its owner in 1908, and used the finest materials and craftsmanship of the period. The joinery was of the highest quality and the house luckily escaped ‘improvements’ over its life, remaining completely intact to this day. In 2004 we extended the cottage, leaving the front untouched but adding a large two storey wing at the back on one side, and the single storey extension to the right hand side, which can be seen from the front, with wooden doors looking like an original garage. The cottage, as well as having far more space, now enjoys good access to, and views over, the good sized back garden, which previously, was barely visible. In these works we kept all the original features, joinery and fireplaces, and built the extension in bricks reclaimed from a cottage just a stone’s throw away, built at the same time with the same bricks, which was demolished. Two more original fireplaces were added in the new lounge and bedroom, the cottage now has seven open fireplaces! Reclaimed handmade clay roof tiles from the same tilemakers in Bishops Waltham were sourced, and the windows and internal joinery were all made to match the existing, resulting in a large cottage, retaining all it’s original character but now with larger living spaces and bedrooms and better access to the garden. The original owner’s family visited and stayed at Wheathill in 2008, a hundred years after he had commissioned the cottage, and were delighted! The kitchen/dining room directly adjoins the large lounge/dining room, having large central wooden kitchen table with eight chairs, with a further twelve seats at the dining table just through the open doorway which links the two rooms. Here all guests can socialise together, between the kitchen, dining and living spaces. There are beech worksurfaces, stainless steel electric cooker, with a fridge freezer integrated flush in to the wall, a dishwasher, washing machine and microwave. The maple kitchen cupboards house a comprehensive range of cooking and dining equipment for use during your stay. The large lounge has an open fire, perfect for winter breaks, with long contemporary settees and some period armchairs, leading to the feature square bay with french windows opening to the garden, at the end of the room. Books, videos, board games, local information useful during your stay, and a television with DVD player are all in this comfortable room. Off the other end of the kitchen is a separate utility room, with a second fridge / freezer ideal for drinks or extra food. This leads on to the downstairs shower room with large shower, basin and wc. There’s a bathroom upstairs with wc, basin, bath, and separate shower. The largest bedroom is ensuite with double-sized shower, basin and wc. All have modern back – to wall white suites. There are seven good bedrooms at this large New Forest cottage, three on the ground floor with front garden views, and four upstairs, two overlooking the front garden and fields beyond, and the largest one at the back with rear garden views. 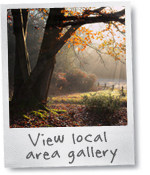 Please browse the gallery for photographs of Wheathill cottage, and the gallery of the nearby area. Details of our other New Forest Cottages, and further information on the New Forest are all accessible from the links on the right hand side of this page. "Just a quick message to say thank you, we had a lovely time at Wheathill"
"I recently stayed at Wheathill cottage with a group of girlfriends and had an absolutely fantastic time! The cottage itself was clean and spacious, with plenty of room for 15 outdoorsy females. The kitchen was well furnished and there was a real working fire in the living room allowing it to be made really cosy. There were mirrors in nearly all of the bedrooms and bathrooms and plenty of space to store clothes. The cottage itself is located a 15 minute drive away from Barton on sea and just round the corner from Lymington. The company that runs the cottage was extremely helpful at locating my jewellery when I accidentally left it there and sending it straight back to me via post. I'd really recommend the cottage, particularly for big parties of outdoorsy people due to excellent location and cottage facilities!" "I may well be back in the not to distant future it was a great spot!" " We had a great stay, it was perfectly placed for going into the forest and Lymington"
"We had a lovely time at wheathill cottage - everyone loved the place - talk of a reunion already!" "Thanks for all your help! And expect to hear from us for next year!" "Please send on my thanks to the cottage owner for a lovely weekend. The cottage was perfect and we had a great time." "Thank you - we all had a great time, the cottage was perfect and we also used your recommendation for Red Cherry catering who were also fantastic, so thank you for the recommendation." "Our stay at Wheathill was perfect. Accommodated 15 adults perfectly and was a great location. We visited Setley Ridge vineyard which I would definitely recommend and also Red Cherry Catering for our dinner Saturday night. Dinner was great, we sat in the garden as the weather was so good and Craig and Leanne fed us and left the kitchen immaculate! Absolutely no stress whatsoever." "We had a great time, thanks. The location was excellent for our bike rides through the New forest and around the Isle of Wight." "I did have a good time. The cottage was the right size and layout for us." "We had a great time, thank you. It worked really well for a big group of families and we would consider a return trip next year." "We did enjoy our visit and are already discussing dates for next year!" "We had a lovely time at Wheathill Cottage, thank you and the bride-to-be really enjoyed herself!" "Wheathill was the perfect venue for us prior to our daughter's wedding, accommodating all our wedding party and making the run up to the big day very easy – thank you!" "Just to say thanks for the booking at Wheathill this weekend, we had a lovely time and were so lucky with the weather on both days. We did some wonderful birdwatching near Keyhaven in the sun on Saturday." "Thanks for a wonderful stay in the New Forest, it was a really lovely house in which to welcome the New Year. We did enjoy our stay - it was just right for a family Christmas!" "We had a great time at Wheathill – the house was great and we very much enjoyed being in the New Forest. We would certainly come back to Wheathill again." "We stayed in Wheathill cottage last February and had a very pleasant stay. So much so that I have been asked to organise a return visit." "Thanks for everything we had a great time"
"We had a fantastic time at the cottage. 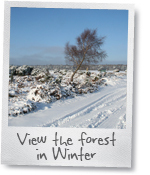 The New Forest is so lovely, we will definitely be returning." "Can I please say thank you so much for renting us the property - the house was wonderful and we had an absolutely fantastic time. I would definitely book this house again! It was the perfect location - so peaceful and we also had the weather on our side." "Had a great holiday thanks"
"We had an enjoyable stay at Wheathill last week"
"Thank you so much for our stay at Wheathill cottage this weekend. We all had a wonderful time"
"It really was a lovely weekend and the cottage was perfect." "I am pleased to say the place was perfect for us and we all have had an amazing time creating some amazing memories for the family. I am sure we will be back." Many thanks we had splendid family weekend." "We all had a great time and didn't want to go home." "Thanks, we had a great time"